World gold demand hit its lowest level since 2009 last year as India and China, the two main consumers of the precious metal, bought less jewellery and Western investment dropped. 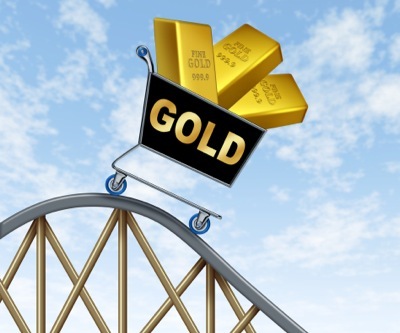 According to the World Gold Council’s report published Thursday, Central banks and institutional investors stepped up their purchases of the precious metal by 17% last year but it wasn't enough to offset the decline. The council said 4,405.5 metric tons were sold in 2012. That's down 176.8 metric tons, or 4%, from 4,582.3 metric tons in 2011. The document was not all gloom and doom, as it also predicts that bullion consumption should be steady this year, although unlikely to reach the high levels seen in the worst of the financial crisis. While India’s full year demand was down 12% compared to 2011, the market performed strongly in the final quarter with total demand at 261.9t, an increase of 41% on the same period last year. Both jewellery and investment demand reached their highest levels for six quarters. Investors seem to be shifting their focus. While global investment in gold-focused exchange traded funds increased 17% last year compared to 2011, it fell 16% in the fourth quarter.